Fall Semester - After-School Ballet Tuition. Tution pays for Guest Instructors, Choreographers, and Artists. 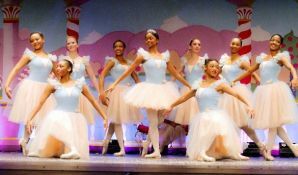 Tuition also covers costumes, sets, and other production costs associated with the recital at the end of the semester: Nutcracker in a Nutshell and Spring Ballet.